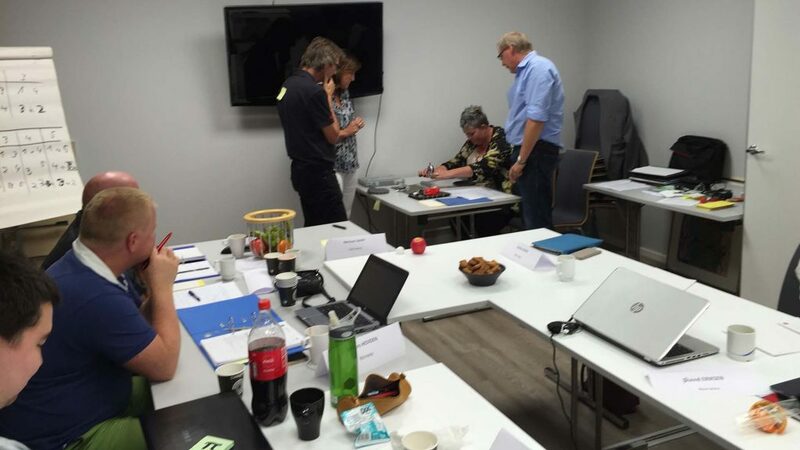 Commencing on Thursday 24th August and concluding on Monday 28th August, Norway’s capital city, Oslo, was the home for a first ever National Referees Course. Let by Germany’s Michael Zwipp, most notably the Referee for the London 2012 Olympic Games, the five day initiative was organised under the auspices of the ITTF Umpires and Referees Committee in conjunction with the European Table Tennis Union and the Norwegian Table Tennis Association. An established programme for promoting umpiring exists in Norway and has proved successful; currently both Karl Börre Reite and Torstein Rønningen are Blue Badge Umpires. Thus the course under the direction of Michael Zwipp was very much to complement an already successful system by focusing on refereeing; invitations were send to neighbouring north European countries with notably two of the course members travelling from Denmark. A splendid environment but a full itinerary formed the menu; it was start at 9.00am and conclude late in the evening. 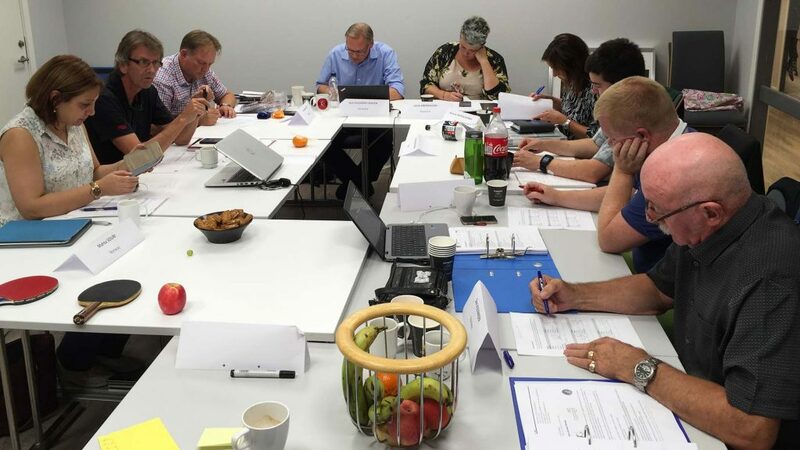 Time passed quickly; certainly it was hard work for the candidates who were required to assimilate new information whilst also completing tests and resolving situations in group assignments. Importantly, the National Referees course provides a very solid base for progress to international referee status; the contents not only cover the vital factors, also there is an element of flexibility in learning situations. Contributing in a positive manner to the organizational items of tournaments was the very clear message from Michael Zwipp; in some instances assuming certain roles currently undertaken by local organisers. Most certainly, the efforts of Michael Zwipp were greatly appreciated by all present; especially by Oivind Eriksen, Head of Technical Committee in Norway and Jens Gullberg, Chair of Danish Umpires Committee. Positive responses from experienced course members; it was the same from all course members; a fact greatly appreciated by Michael Zwipp. 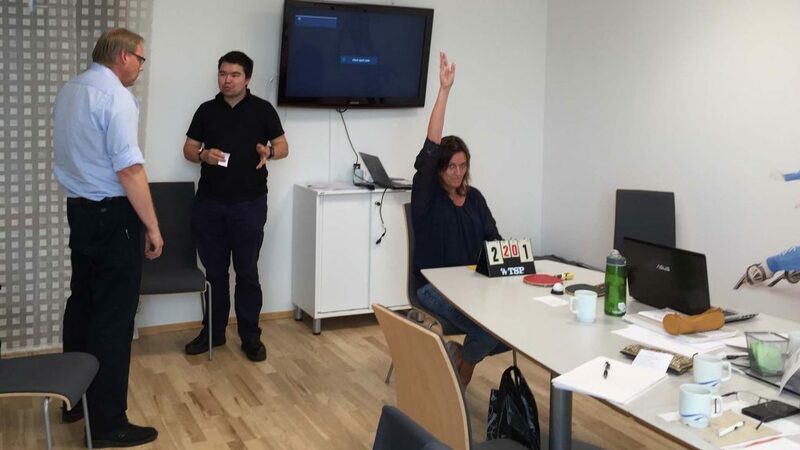 “I am very happy we did this course in Oslo. A starting point has been defined for national referee development in Norway and Denmark. New motivated people have taken the road to gain more refereeing assignments. I hope, to see some of them taking the next step to attend an international school sometime in the future; my thanks to the Norwegian Table Tennis Association for organizing this event. Alongside Michael Zwipp, the host nation’s Don Alexander, Kim-Erling Bolstad-Larssen, Oivind Eriksen and Anders Hovden attended the gathering, as did Karl Borre Reite, Mahta Souri, and Marianne Troppen Horness. Meanwhile both Janni Andreassen and Jens Gullberg Hansen travelled from Denmark.